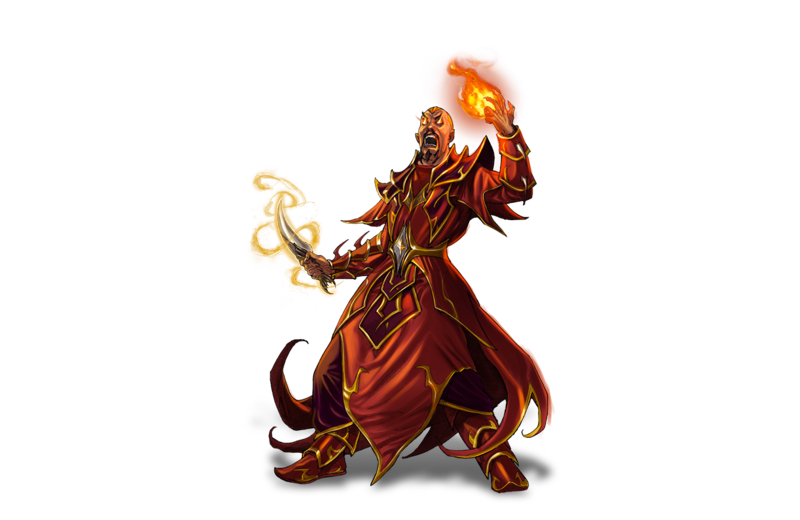 the dark wizard, master of Necromancy or Pyromancy. 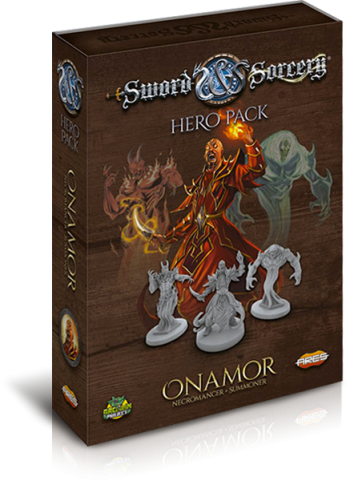 Sometimes, heroes are shadowy figures dabbling in the dark arts or renegades from their kin… Born into a family of powerful wizards, descendants of Avalon, Onamor can be played as either a Chaotic Necromancer or a Lawful Summoner. 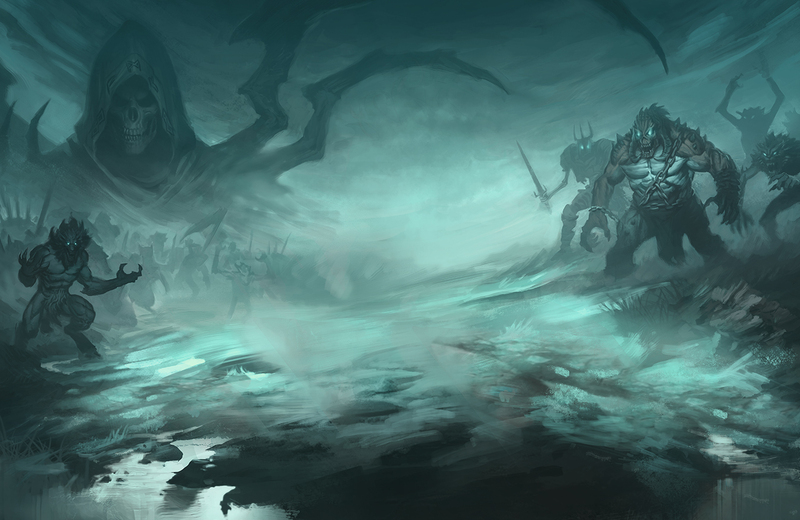 As a Necromancer, Onamor traded the very essence of his life to become a Necromancer, able to raise corpses from death and manipulate them through his powerful will. 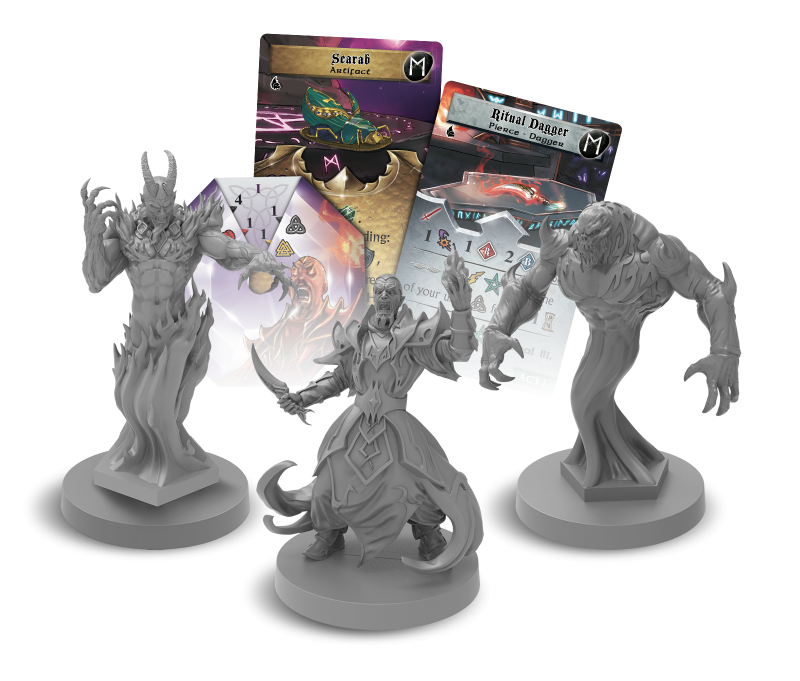 This Hero Pack features two miniatures of Onamor (normal and Ghost Soul form), two summoned creatures, his Soul Gem, and new cards — including legendary treasures such as the Ritual Dagger and the Scarab Artifact.